Two gorgeous dogs to create in pastel on paper as a commission. 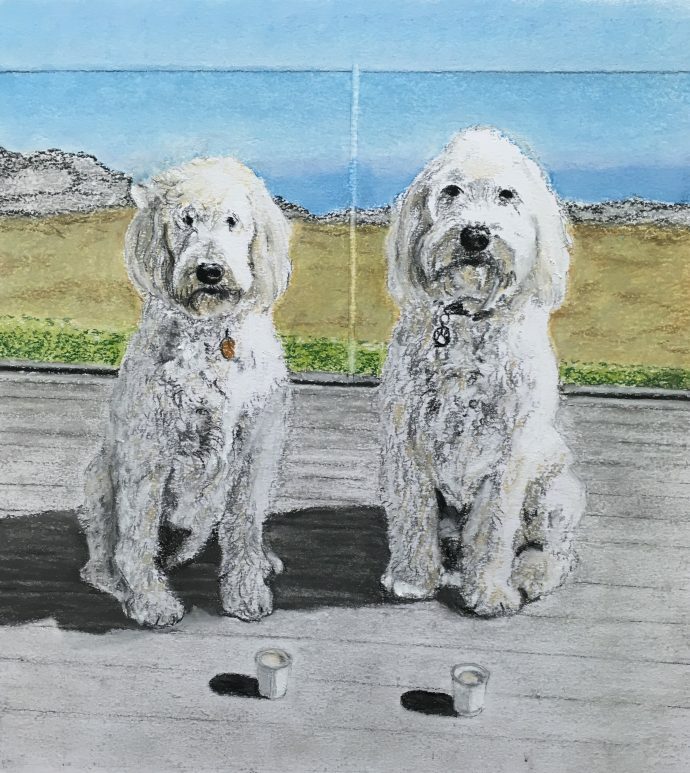 Lovely to receive the following message…..
“My father commissioned a picture of my 2 labradoodles as a surprise present for me. I have to say it is fantastic! You have really captured their personalities in it.